Our product range includes a wide range of flat belt, special profile timing belts and special timing belts. Our in-depth knowledge and industrial expertise allow us to offer a distinguished assortment of Flat Belt. Widely use in line shafting to transmit power in factories, the offered flat belts are precisely manufactured by our highly skilled professionals by utilizing finest grade material and advance technology. Additionally, these flat belts are examined on several quality parameters to assure its durability and flawless finish. 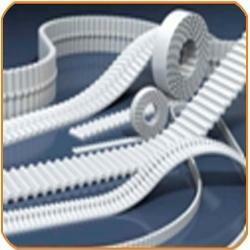 We are noted manufacturer, distributor, trader and supplier of an enhanced quality Special Profile Timing Belts. Used for conveying applications, the offered profile timing belts are manufactured by premium grade material and modern technology in accordance with market standards at our end. Along with that, these profile timing belts are provided in various specifications as per the needs of patrons at competitive prices. Our customers can avail from us a wide range of Special Timing Belts that can efficient operate the rotational speed up to twenty thousand rpm. 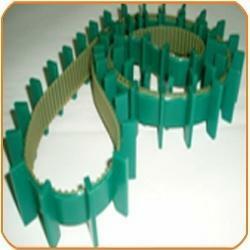 At par with international quality standards, these belts are manufactured utilizing polyurethane. 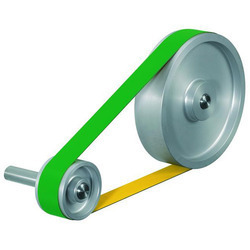 Apart from this, our belts are widely used in number of industries, where synchronous transmission of angular motion needed.